If you love your cars American and iconic, the 2011 Chevrolet Corvette is a sports car purist's dream come true. Drivers experience awesome V8 power, amazing handling and an interior filled with enough creature comforts to rival some luxury cars. My car was a 3LT GS with automatic transmission and every option except navigation. It was a pleasant car to drive, but not very exciting. It was so powerful that its acceleration capability was essentially useless in an urban environment - it would have been better suited to a place with wide open roads. Although it was pleasant to drive, its bulk inhibited the fun factor. It well illustrated the maxim that a slow car driven at 9/10ths is more fun than a fast one driven at 6/10ths. More of a GT car than a sports car. As has been said in many places, the seats were quite poor. I had to have the lumbar bag replaced in the driver's seat. after which it was better, but still not good. The main irritation was the front splitter, which was very vulnerable to damage while parking. I would advise against the GS in favor of a base car because of that splitter. Ford Fusion. Highlights and comfortable features. I think that my vehicle is reliable and always gets me to the place that I am going to. I always know that I can go to my car and get to the place that I am trying to go to. It is comfortable and I really like all the features in the car that help me be comfortable in it. It's a nice riding motor beast that looks nice and runs smoothly. I love the feel of the motor when I drive. I love how smooth my wheels are. I also really like my air conditioner and speakers. I don't like how fast my gas runs out. C6 Corvette Buyers Guide - Things you need to know! 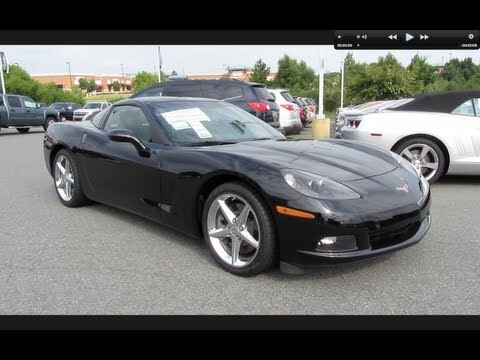 GENERAL MOTORS (GM) IS RECALLING CERTAIN MODEL YEAR 2011-2012 CHEVROLET CORVETTE COUPE VEHICLES, MANUFACTURED FROM JANUARY 24, 2011, THROUGH SEPTEMBER 1, 2011, FOR FAILING TO COMPLY WITH THE REQUIREMENTS OF FEDERAL MOTOR VEHICLE SAFETY STANDARD NUMBER 206, "DOOR LOCKS AND DOOR RETENTION COMPONENTS". THE REAR HATCH HINGES MAY NOT MEET THE LOAD REQUIREMENTS SPECIFIED IN THE SAFETY STANDARD. THE REAR HATCH COULD SEPARATE IN THE EVENT OF A CRASH, INCREASING THE RISK OF INJURY. GM WILL NOTIFY OWNERS AND DEALERS WILL REPLACE BOTH REAR HATCH HINGES FREE OF CHARGE. THE SAFETY RECALL IS EXPECTED TO BEGIN ON OR BEFORE OCTOBER 7, 2011. OWNERS MAY CONTACT CHEVROLET AT 1-800-630-2438.